Since ancient times believed that pearls are the stone of love, which gives its owner not only the welfare, but also protects the house and family ties from the failures and betrayals. This unique stone is extracted from the shells of shellfish, does not need correction, it is beautiful in its natural beauty. 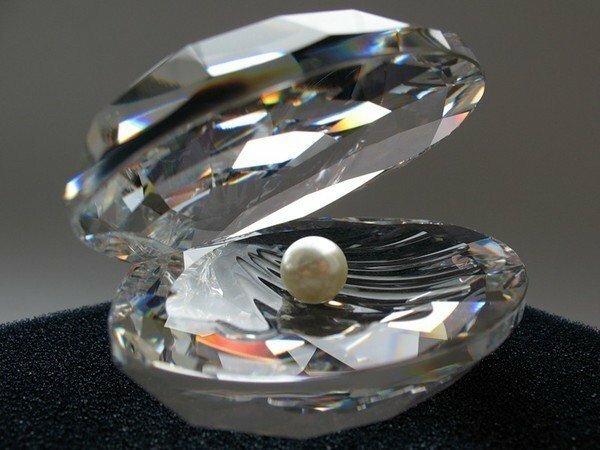 There are several ways to determine the origin of pearls – natural is a gift or work of man. RUB two pearls against each other. You will find that natural pearls, the surface is not damaged, may be only the smallest pollen on your fingers. Under mother-of-pearl layer of natural pearls is the same layer, and the artificial glass or plastic. If the "bite" a natural pearl, it will resemble grains of sand. Natural pearl, if you hold it on the glass, will leave white trail washable and will not scratch the surface. When falling on a hard surface, natural pearl bounces and jumps high like a tennis ball, faux pearl, this property is absent. Natural pearls are quite heavy. Take in one hand and a natural pearl, and the other – artificial. You will feel the difference. Natural pearls are always cold. Wear a necklace of natural pearls in hot weather, and you feel the cool natural stones. Of course, natural pearls can not be cheap. Marine pearls are valued more river. The price of the product and place of purchase also evidence of its naturalness and quality. Natural pearls will never lose luster, nacre layer will not wear off, jewel will always look like new. Hold over the fire faux pearls. It will begin to crack and melt thirty seconds. From natural pearls after a very intense heat can be turned into scales, exposing the inner layers. Holes for strings of faux pearls are uneven, chipped. This is the first that experts pay attention to when determine the natural pearls. Enlighten the UV lamp. Natural pearls will be in shades of blue and cultured green.